Every bit as talented and powerful as his namesake Bart The Bear 1, Bart The Bear 2 can act the part of a terrifying heavy, as in The Edge and Legends of The Fall or shine as a comedian, as in The Great Outdoors and Without A Paddle. 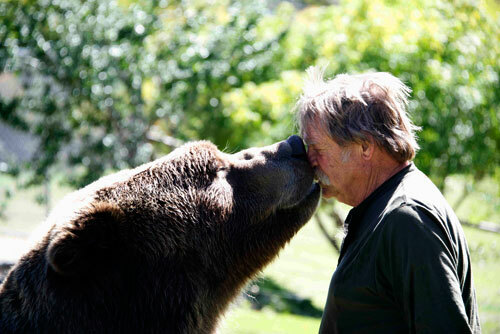 Bart the Bear 2 kisses trainer Doug Seus. Photo by John Hechtel. 25. “Flipper” – flips any object in front of him such as fake fish or soccer ball, etc. 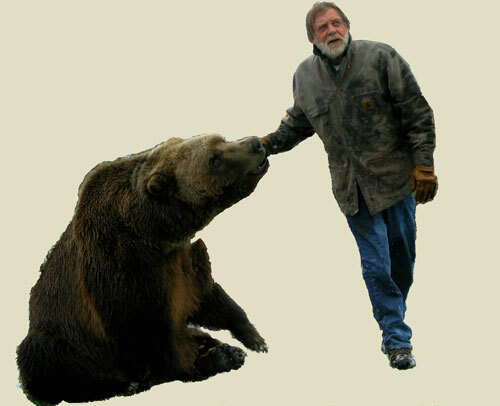 Professional animal trainer and Vital Ground founder Doug Seus straps on a GoPro helmet camera for an exercise session with Bart the Bear 2.